One-way communication between a brand and its audience is becoming obsolete. As consumers and users, we’re more informed and empowered than ever. This increases the need for brands to deliver compelling and consistent content and communication, which in turn raises significant challenges in regards to how a company pushes the boundaries of engagement. It’s not easy churning out highly-successful content week after week. User generated content as a form of storytelling and engagement, can alleviate some of the stress marketing and communications teams face. Essentially, it provides customers with what they want — authentic messages around how products, services, and solutions behave in the real world. Examples of other people’s experiences. A staggering 85 percent of consumers feel that user-generated content (UGC) is more influential than any other form of brand communication. But what exactly makes it so compelling? UGC helps foster deep connections between a brand and the greater community. Communities are all about interactions with like-minded people or those with similar interests, so it makes perfect sense that members are the best sources for sharing experiences. Much like web forums, a community rallies around topical user stories. So when the user stories reflect the brand or company initiatives, the perceived value increases tenfold. Not incentivized, not marketing-manufactured stories — just pure proof. Each member or customer is not just a metric but a unique and outspoken party. As members of the community share their stories, a clear picture emerges of what the brand can offer. It becomes a real, dynamic marketing medium as opposed to something drawn up in a conference room. There are no slogans or advertising gimmicks, and no cheap tricks — just customers with real stories to tell. A digital community of motivated, reliable people willing to spread their knowledge. Of course, nothing offers more insight than a successful campaign. I’ve pulled five examples of business and consumer-related communities that show UGC in practice. UGC is typically best exemplified in the B2C space, but before we get there, I wanted to share an example of communication efforts that aren’t entirely public facing. Unlike the rest of this list, Lenovo’s #loveon is internal and employee-driven, yet that’s exactly why it belongs here. Community engagement should never be solely forward-facing. It should also include employees, management and even executives — after all, they should be active members of your community as well. #loveon — which is an anagram of the company’s name — was a single event that took place throughout the course of one day. They rebranded their name as a celebration for the launch of the Lenovo Foundation, an ongoing commitment to increase access to STEM education and empower diverse and underserved communities through global grant making and employee engagement. 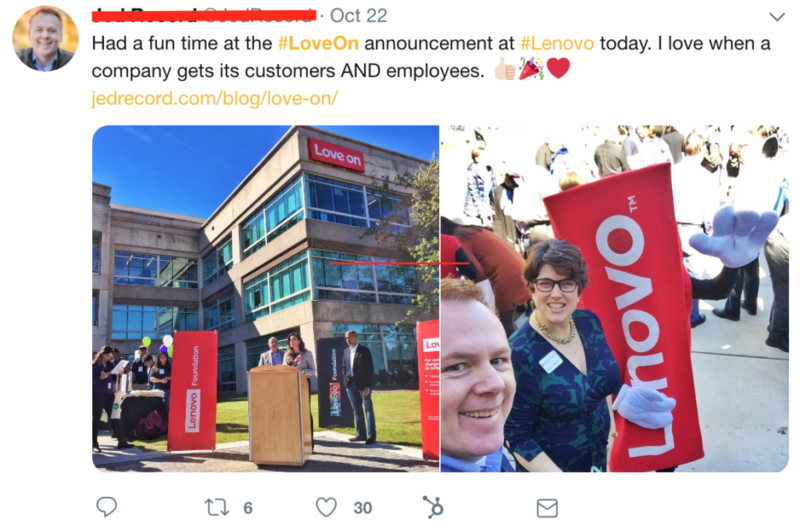 So in an effort to evangelize the efforts internally and externally, Lenovo ran a mini campaign sharing their story and getting employees to promote the organization’s culture. Always Coca-Cola right? It’s easy to see why their “Share a Coke” campaign is brilliant for fostering community engagement. The premise involves consumption of their popular soft drink and encourages social sharing. Coca-Cola bottles were made available with labels that included customer names and nicknames taken from more than 80 countries around the world, making it a personal, local, as well as a global effort. People were excited to hunt for a Coke product that had their name or a friend or family member’s name on the label. Once found, of course, they took to social media to share their personalized bottle treasure. Across several worldwide locations, Coke placed machines that could print out unique labels. The portable machine made regular stops at places like SeaWorld Orlando. For the final season of Hulu’s and Mindy Kaling’s the Mindy Project the team launched a campaign called #laterbaby. It was a compassionate and personalized experience, allowing customers to get in touch with stars from the show as it closed in on its last chapter. Fans were encouraged to share personal stories of how the show changed their lives, using the connected hashtag. Mindy then took to social media and participating platforms to promote the responses by reading aloud the social commentary and provided her own thoughts and feedback. This small act of vocalizing the UGC through a leader or point person (in this case Mindy herself), touched the hearts of hundreds — if not thousands — of her closest fans. Another trailblazer in curated UGC, GoPro is the ideal candidate for capturing customer stories through the very nature of their product (much like the “shot on an iPhone 10” campaign). GoPro’s action cams are ideal for capturing thrilling, one-of-a-kind experiences. Naturally, a marketing campaign centered around this concept is ingenious. For the launch of their latest product, they encouraged GoPro users to share content captured with the cameras they own. Everything you see as a result is associated with the GoPro brand, particularly thanks to the company’s video share of the day on Instagram. Users from a variety of other social networks are also participating in the campaign too. Ok, this was a bit of a fun one – even for people who aren’t fans of the show. 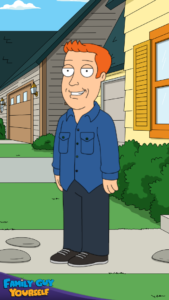 For the TV series’ 300th episode, Family Guy launched a tool that allowed fans to make a customized cartoon of themselves, fashioned in the art style of the show. Naturally, this garnered a lot of attention as people cartoon-ized themselves and took to social media to share their creations. The #familyguyyourself campaign spread like wildfire in just a matter of days. Of course I had to give it a go! Obviously, social media is a core part of the community and awareness aspect, since it helps spread a message quickly. 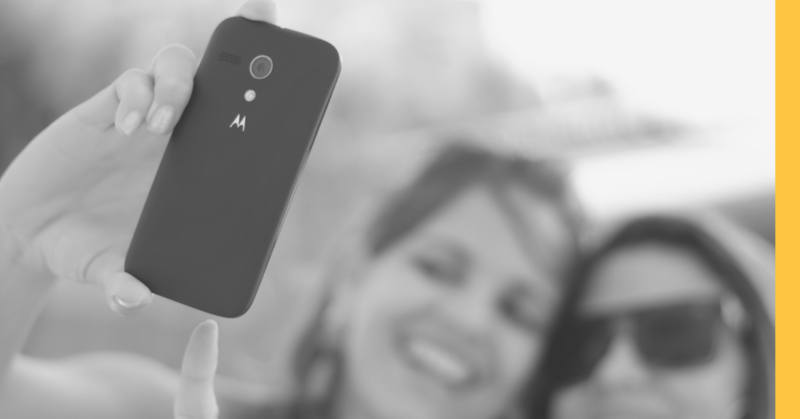 Yet there are many other elements to leverage in regards to user-generated content. The entire campaign and participation experience needs to be fun. If no one is enjoying their time, engagement is going to suffer. To keep things exciting, why not use unique or unorthodox forms of content? Things like memes, animated GIFs, and videos. I’ve even seen campaigns ask users to respond to a question or statement in 5 words or less, making sure it’s succinct. Members of a community want to be heard and valued. That’s why they’re in the community in the first place. Let them share their experiences. The challenge is getting them to do it in a way that’s positive and provides forward momentum for your brand. A simple “like” or quick share on social media only goes so far. Real participation requires the submission of authentic, user generated content. I know, it’s tough to get customers involved, let alone those in a B2B space, as many are too busy to participate in marketing or social media campaigns. Try to provide them with interactive, simple opportunities that make them more likely to join. One trick is to leverage incentives, giveaways, and other unique enticements so that things stay fun and interesting. You can offer free image and meme templates to make content creation quick. Distribute digital stickers or photo frames that can easily be slapped on to UGC in real-time. Storytelling is the core focus. Incorporating UGC into your community’s stream is all about giving your members a voice, a chance to share. Above all else, user-generated content is completely free and can become part of your ongoing engagement efforts. Once you kickstart a community, it will continue to thrive on its own — provided you know how to apply proper management strategies. If you found this post helpful, subscribe to our newsletter for more CMX goodness delivered to your inbox each week!